This is more of a personal blog story that I'd like to share. I hope I find some way to articulate what prompted me to start writing this a couple of days ago. I will try, at least. It may be quite sad (really, so be forewarned) and even "over the top" in places, but I hope you'll understand where it leads. This week (January 2011, when this was originally published) has no doubt torn many of us up and brought back painful memories of the day we got that awful news. Personally, I have loved Michael with every heartbeat, more than I could ever hope to explain, from the time I was 12 up through now, at nearly 40. And I always will. June 25, 2009 was quite simply the worst day of my life, in what became a sort of lost year. (Although, perhaps less "lost" than originally thought, for it led people to reach out to others with love, to start beautiful projects, connect with new friends and sent us on spiritual journeys that continue today.) Nevertheless, when I got that news it was as if every atom of my being had been shattered into a billion pieces. I collapsed into a pool of more tears than I thought were humanly possible. It quite simply broke me. I know many of you will understand. In those first two weeks I noticed many of what I'll call "side thoughts"; things I wouldn't assume I'd have energy to concern myself with, but that nonetheless seemed of paramount importance at the time. I guess this is common when losing a loved one. And that time was filled with words like "memorial" and "funeral", while rumors swirled about how the family might handle these issues. And with frazzled nerves and broken souls, it was almost too much to bear to even think of it. The only thing fitting in my heart at the time was a full royal-style procession with solemn crowds of hundreds of thousands or even millions lining the streets of Los Angeles, shutting down the entire city, tears in their eyes, flowers in their hands and bowing their heads with muffled cries in utmost respect for this amazing genius, humanitarian and father. It was what my heart felt at the time and you certainly don't have to agree with that. The globally broadcast memorial was beautiful and touching and I am thankful for it. There was another step to take after that, though, and this one left me with one thought over and over: "Now I understand the Taj Mahal." I'm sure you've at least seen pictures of the Taj Mahal, but perhaps some of you don't know the story. It is a grand mausoleum built in India in the 1600's by the grief-stricken Mughal emperor Shah Jahan. Construction began one year after the the death of his dearly beloved third wife, as a monument to their eternal love, and it took over twenty years to complete the full expanse and decoration of the mausoleum and surrounding gardens. Hundreds of artisans and craftsmen were involved in its creation and today it is considered one of the most beautiful buildings in the world. Whatever one cares to believe about the relationship between the emperor and his wife Mumtaz Mahal, one may ask the question why someone would go to these lengths to memorialize another? As the emperor himself wrote, "The sight of this mansion creates sorrowing sighs; And the sun and the moon shed tears from their eyes." So was it his unending devotion? Her incredible beauty? Perhaps both. But all that was really needed was LOVE. So there I was, my heart in anguish, my soul in shreds. I cannot express how incredibly precious this man is to me. My dear Michael, my teacher, my best of joy, the ultimate love of my life (no offense to my husband, a fellow fan who thankfully understands ;). I realized, though, that I could not build Michael a 'Taj Mahal'. I am not an empress. I am not the queen of the world. Heck, I can't even afford a new car. But if you can possibly understand this, in my heart during those dark days was this vision of a heavenly mausoleum that would be the most incredibly beautiful building ever built in the history of the world, made to last for thousands of years. It would be so grand, so huge as to be seen from space, yet so delicate it could only exist in a fairytale. It would be so exquisite, so other-worldy in its beauty that people would literally fall to their knees in awe on approach. And it would be made with the most divinely intricate architecture, carvings and artwork, reflecting styles around the world, from the most breathtaking Indian palaces to the most splendid gothic cathedrals and stunning crystal mosaics. The architect would go unnamed. The only name important for the future to know was "Michael Jackson", and that this MJ person was SO loved that people built THIS in his memory! It would be the ultimate monument to love, to the man who gave so much of it and asked us to do the same, who brought it out of us and kept it alive in our hearts like a little glowing ember even in the worst of moments. A masterpiece befitting a beloved king, who through nearly all his years inspired such impassioned declarations of forever that people would approach him in ecstatic tears. (Are we crazy? Or just privy to some unfathomable secret?) I knew such a building was impossible and yes, really over the top. It wasn't sane or logical or practical, but such is the realm of emotion. It was just the feeling I had at the time; "Oh, if I could at least give him this!" And before you think I'm about to announce that we're collecting funds for this or something (no, no, don't worry), I want to tell you that I realized recently that we actually are creating this, albeit metaphorically. Every piece of the truth that is spoken or put into writing in a thoughtful way, every loving act of protection or vindication (such as stopping the Discovery Channel's autopsy show or getting Michael's name uncovered on Gardner School's auditorium), every tree planted in his honor (entire forests have been already! ), every donation that is made to those in need, every monthly global prayer to spread L.O.V.E., every effort we take to Heal the World, stand up against injustice, to stop war or combat poverty, every toy given to a children's hospital, every bedtime story we read to our little ones, every smile we put on someone's face by playing his music or emulating his kindness ... if it was inspired by Michael, we're creating that monument to love and for him, piece by piece, brick by brick. Stunning post. And you are so right. Thank you MLP. WOW!!! !what a beautiful writing! So emotional and TRUE all the way! Thank you MLP. This is amazing,and your words are so right!Let's do it, let's heal the world,let's change the world with our LOVE! Thank you! These lines made me cry the whole time reading them. And don't be sad that you cannot really build him a monument like this. Because major love prayer already *is* such a monument. Wow, this is one of the most beautiful things I have ever read. I have tears in my eyes now. You are expressing what many of us were (and still are) feeling. Thank you! Yes, absolutely stunning. I thank you from the bottom of my heart for this. I'm so very grateful to be apart of this monument of L.O.V.E. that we are building. God Bless! Thank you so much for those beautiful words! Thankyou for sharing these beautiful words with us BGG/MLP. Michael once said the fans were his greatest legacy and we are now his living, breathing monument of Love because we carry his message of Love for all of humanity in our hearts and we put it into action. We have the power to "change the world" - we just have to keep Love at the centre of all we do. What an honour it is to be a part of this very real legacy. Thank you for these beautiful words, that come straight from the heart. It is inspiring to read your words and to be a part of this monument of love. I hope many more will join as the world will start to see the pure beauty of Michael's soul and all that he stood for. Future generations may learn to understand the incredible love that we fans have for Michael by beautiful writings like this one. I love you for doing that. May Major Love Prayer last forever, forever in honor to our beloved Michael. It was so great to live here while he was here. :.-) Now it is up to us to spread the love that he would have given. 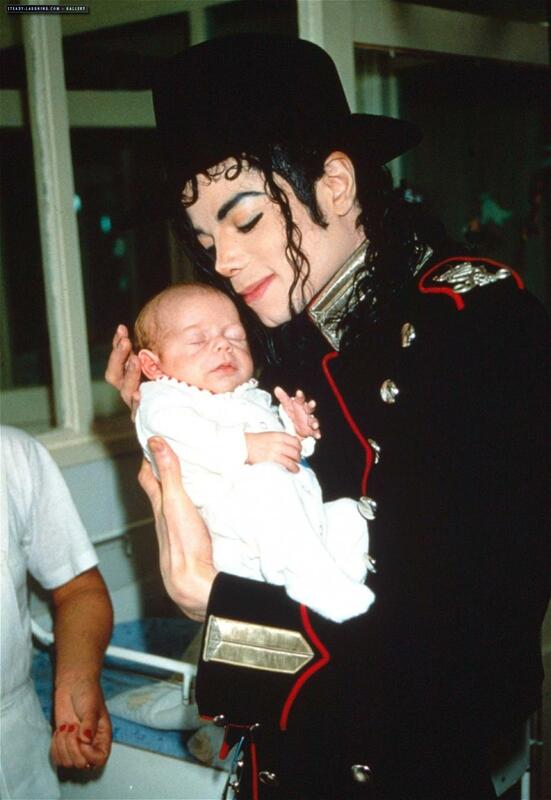 We have to grow up and give like him, that's what we owe Michael. And in many cases we just want to do that anyway because he is such a tremendous inspiring and loving force. I wept when I read your blog! My life has not been the same since Michael passed. He left such an impact on my life in SO many ways. Losing him felt like I lost my brother or best friend.The worse loss ever. His voice, his charm, his talent,his style,his humanitarianizm & I could go on & on. I never realized untill after he was gone that since I was a child (Michael was born just 13 weeks before me) Michael has literally been my role model! I've been taking stock in my own life since and how I want to live out the rest of my life. What I can do to help others as Michael tought us to do? For me I'll start writing my book-a memoir- how I delt with my own childhood pain & getting out there helping others. We as a people have got to start treating each other with kindness, LOVE, & respect!!! The "Monument Of L.O.V.E." is would be a perfect tribute to Michael! I know he would LOVE it! Whenever I get to heaven & my time is up on this earth I will hug him & thank him from the "bottom of my heart" for all he did for me...just getting thru life. I loved him more then words could ever express!!! Thank you so much for this post. Everyone is absolutely right: who we are and what we do is the best memorial to Michael. And MLP is one of the most important...there is nothing more powerful. Thank you !Wonderful written ! Oh, thank you all! I'm so glad you enjoyed this post. ♥ It was totally from the heart, yes, really, really. I was afraid at first that it would be too depressing, reminding everyone of those saddest days. The week before this post I'd been up all night crying, remembering that time and all the thoughts that had come up, missing our dear Michael from this world SO much. My mind went back to that phrase "now I understand the Taj Mahal", because that was a realization from summer 2009. I meant every word of what I wrote. It's what had gone on in my heart back then. I kept thinking how the most beautiful thing every built was the only thing appropriate for Michael and it's what my heart would give him, if only it could. Another thing we can do, and is what I have started doing - an wonderful idea from a lady in Holland -to write Michael's messages of love, faith and hope; like the one that starts 'In a world filled with hate, we must dare to hope...', on cards and leave them on park benches, in beauty spots, in a church or train station eg; put your first name in and suggest the finder returns it to his fan club in Texas. Check online at MJFC.net. It's all for L.O.V.E. Wow to the comment above-this is AMAZING how we are all in sync with this idea!! I'm from upstate New York & I've been doing this for the past 3 months! Leaving lamenated "Michael calling cards" where ever I go. By mirrors at the movie theaters, benches where I go for my walks, store/fast food checkout counters, church pews...you name it! 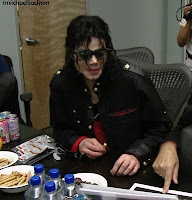 Everything I do have a hint of Michael in it...just enough to get them thinking. This is So important especially now! We all have to continue working on this because the world is not a peaceful place. The only peace we can bring to it is through our own responses to cruelty that is directed at us or to others. The directive was to "Make love your weapon against every kind of evil." That is not an easy thing to do. So, this takes real effort. I know that right now, I am particularly upset by the shooting of a dog in Hawthorne, Calif. by police. I feel that the dog could have been pepper sprayed or maced. There is something called "bear repellent," which, if strong enough to temporarily disable (but not kill or permanently injure) a bear, it should be introduced as a way to take down a dog weighing 130 pounds. Most full-grown bears weigh much more than this. I feel bad that the dog's owner's behavior put his dog in such a terrible position. I also feel bad that bullets are the first response so frequently in our society. I wish that all animals could live in peace and love, with security, as it is promised in the Bible that they will, indeed, eventually do in Paradise. I realize that some dogs are vicious and that they also kill people and other animals, but I do hope for this everlasting peace one day (soon).